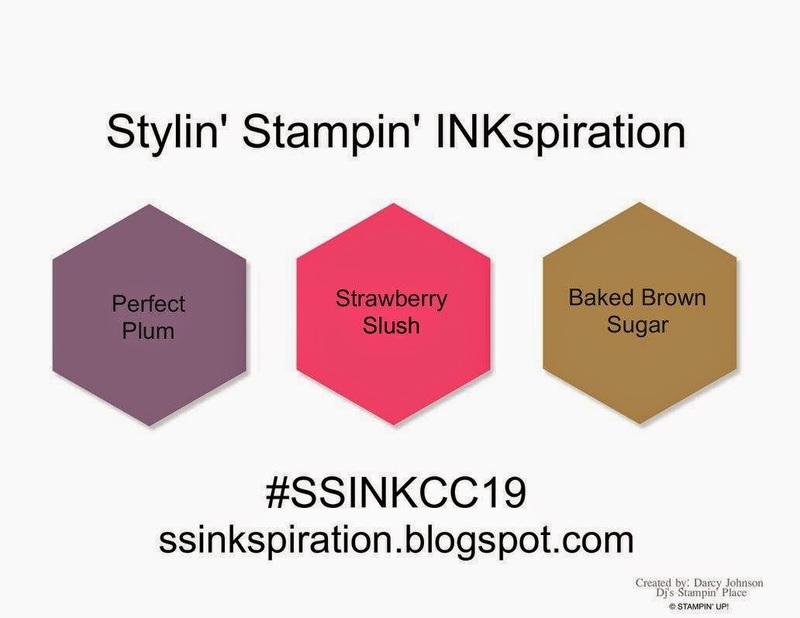 Good morning, its Monday and time for an all new color challenge at Stylin' Stampin' INKspiration. We hope you get inkspired and come take on our challenge. We love seeing new players and can't wait to see what you create with our color palette. I will have to admit, these colors scared the daylights out of me. I didn't know what in the world I was gonna do. I walked over to my stamp cabinet and looked and searched for the perfect stamp set that would work for these colors. Then it hit me, I would create a cute front door card as my base and use the Wonderous Wreath stamp set. And it worked perfectly. I used my pictogram punches stamp set to stamp tone on tone a few flowers and punched them out with matching flower punch. The wreath in stamped in baked brown sugar to represent a kinda grape vine wreath. 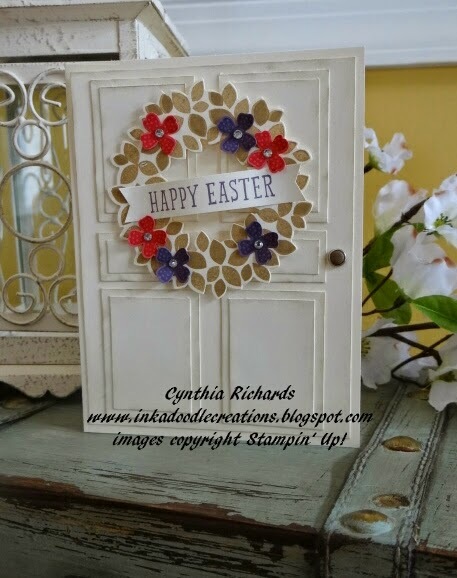 I finished it off but stamping "happy easter" on a cute little banner to attach to the wreath. So, so, SO cute!!! This card makes me want to jump on a plane and come knock on your front door! I love this door Cynthia! So fun and great way to show products for other purposes. I LOVE this card. I love seeing that wreath used in a different way. Super cute. Ummmm...this is AMAZING! You are such a creative genius! !